The history of museums in the United States and of World’s Fairs are deeply intertwined, but easy to overlook. Several of the museums that we know and love today– including the Legion of Honor in San Francisco, the Field Museum in Chicago, and the Queens Museum in New York City– have World’s Fairs as part of their origin story. World’s Fairs themselves, and the comprehensive, wonderful, complicated exhibitions that characterized them, transformed the nature of collection building and the tradition of exhibition in ways that are still reflected in our modern museums. Even so, two notable structures built for international exhibitions that are no longer extant are two of the most remarkable: London’s Crystal Palace, and its slightly later New York counterpart. The present-day absence of these awe-inspiring structures is the kind of thing that easily captures the imagination– as evidenced by the proposal to reconstruct London’s Crystal Palace that was announced recently. 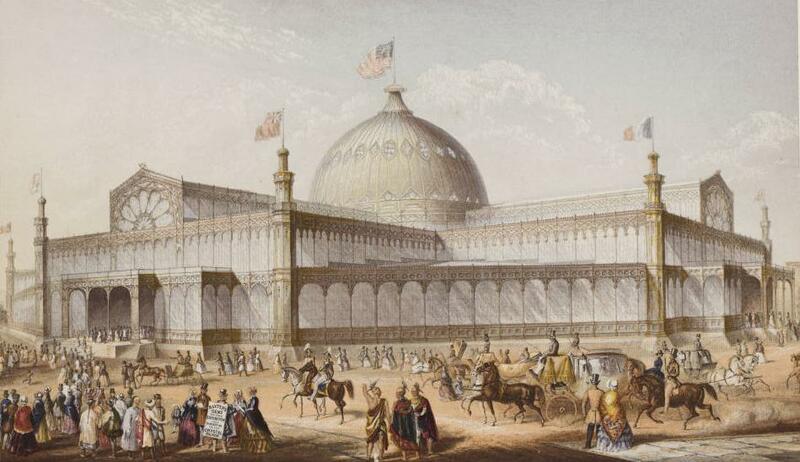 The original Crystal Palace was built in Hyde Park in London for the Exhibition of 1851. It was subsequently reconstructed in Sydenham, a short train ride’s distance from London proper, in 1854. New York City’s counterpart, also known colloquially as the Crystal Palace, was built for the city’s first international Exhibition, the same year that the Sydenham Palace opened. Both buildings, constructed of iron and glass, were possible to build because of recent technological advances that made these materials less expensive and available in larger quantities. The Palaces were the pinnacle of modernity, in terms of both industrialization and international outlook; they were not only the height of architectural splendor but also of technological advancement, and they presented these two achievements as wholly symbiotic. 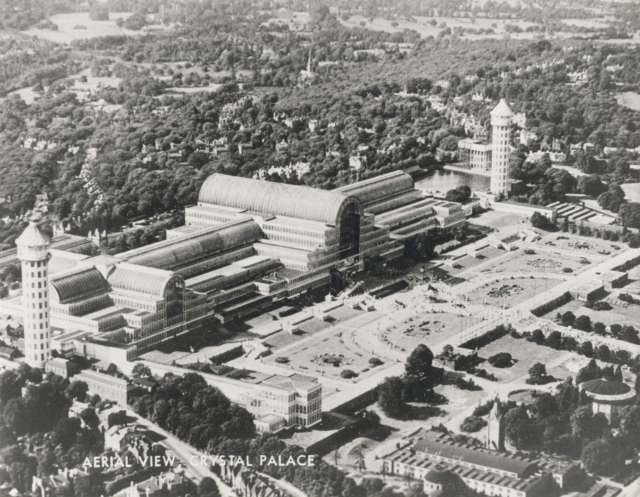 As both Palaces burnt to the ground—first New York’s, in 1858, and later London’s, in 1936—the Crystal Palace as a hallmark of modernity proved to be at once fleeting and portending of modernity’s dangers. But, for those brief four years, Crystal Palaces stood as beacons of industrialization’s promise on both sides of the Atlantic Ocean. Today, the two structures differ greatly in terms of the remnants they have left behind. In London, the neighborhood where the Crystal Palace once stood is now known by that name. The former site is now a park, with a sculpture—really a memorial of sorts—marking one corner of where the building stood. Large marble sphinxes still flank steps. There are traces enough that it seems tantalizingly within reach to rebuild the Palace to its former glory, however complicated that project might actually be to execute. Conversely, although the New York Crystal Palace was placed on what were the outskirts of the city, it occupied a piece of land that is now familiar to New Yorkers and tourists alike: Bryant Park. Next door to Bryant Park, the New York Public Library has extensive holdings related to both Crystal Palaces, including many primary documents; for those of us not in the vicinity of the library, its digitized collection includes a large collection of images. Fittingly for exhibitions intended to be accessible by people across class boundaries, and luckily for those of us fascinated by the history of collecting, the Crystal Palaces are relatively easy to research, even without an educational affiliation. Because of the popularity of the exhibition (as with other World’s Fairs, also), souvenirs, reviews, and reactions to the exhibitions were numerous and remain plentiful in library and archival collections—even better, much has been digitized. 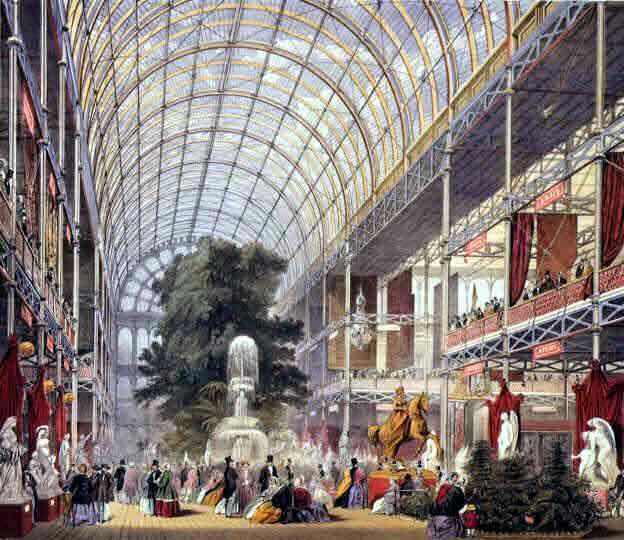 1854 saw the publication of official guides to the exhibitions of both Crystal Palaces. Today, these texts can be mined for insight to the practice of exhibition⎼going in United States and England at the time. They’re a fascinating hint as to how the Palaces functioned within societies grappling with the onslaught of a new modern age. For the museum nerd wishing to sink her teeth into the history of exhibition practice via primary sources, the Crystal Palaces are a great and accessible place to start. As debate surrounds the rebuilding of London’s Crystal Palace, it’s particularly useful history to reexamine. Here are some resources I’ve found particularly useful and interesting. If you come across something, add it to the comments—perhaps they can serve as a crowd-sourced bibliography. Top 10 Museum Heist Movies • Now with Bonus Material, Lego Heist Film, and More! Best museum heist movie of all time! I’ve been to the museum and seen the dagger! I didn’t steal it though. I’ve been to Brooklyn Museum many times and they don’t show precious gems, but this is an amazing movie. So good!!! Watch the WHOLE thing on YouTube!!! Orson Welles!!! I guess you’ve got to include it. Not utterly horrible. 11. Once a Thief (1965) Not sure if there’s really a museum in this. Gotta watch it. Looks great. Bonus Material!!! Online Clips and mini movies, etc. 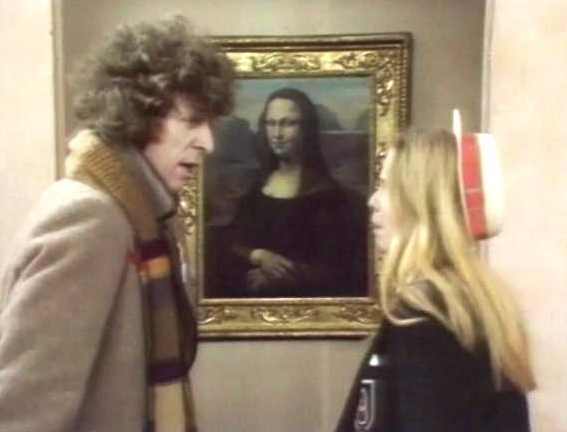 There’s actually an old Doctor Who episode at the Louvre! L.A. Story with Steve Martin (LACMA) HIGHLY Recommended. Ferris Bueller’s Day Off (Art Institute of Chicago) Duh. Awesome. Woody Allen, multiple films (Mostly at the Met I think.) Can someone list ’em in comments? I’ll mail you a prize! As I stepped off the curb to cross Park Avenue this weekend, I was suddenly, vividly reminded of a Saturday last summer when the city closed the street to motor vehicle traffic and my fellow pedestrians and cyclists hit the pavement. The cool, early September afternoon was very different from that muggy, warm August morning, but walking onto the expansive boulevard jogged my memory of an event I haven’t thought of in months. I have moments like this all over the place. Big and small moments, tucked into corners of the city waiting for me to stumble upon them again. One of the techniques for memorizing information is creating imaginary buildings where you can store tidbits of information. In your mind, you train yourself to walk inside the front door, turn left, go into a particular room, open a certain cupboard, and, oh! There’s that bit of information you needed to remember. In the case of my experience on Park Avenue, my city functioned as a real-life, physical memory palace, and a stroll was all it took to revisit my past self. As you spend time in a place, memories become stacked in locations you frequent like boxes on shelves, adding depth and complexity to the layers of meaning you’ve created in a place, and the city becomes home. You break it in, like a sturdy pair of shoes, and it belongs to you in a way that is unique and personal. This doesn’t just happen on a grand, city-wide scale; it can happen with places you vacation, diners you always visit along a highway to your hometown, the airport you always get stuck in going to or fro. And it can happen with museums. Especially those sprawling, traditional museums that have long-term exhibits that you can visit multiple times. For me, it has happened with the Met – no matter how many times I climb those steps, it will probably always remind me of a field trip I took there in eighth grade. I also experience it with Boston’s Isabella Stewart Gardner Museum. Visiting that constant museum is like going to see an old friend who always has your favorite drink on hand. Even though I know I’ll always be able to notice some detail anew there, it’s comforting to be able to go and visit my own memories of the museum, too. Even as museums make great strides to engage with their publics on social media, or make their collections available online, or create digital walkthroughs of exhibits (all valuable distance and/or community-building engagement strategies), there’s nothing that replaces a first-hand experience of objects in the context of a museum. Much has been said of placing objects in environments that mimic their original contexts, but I’d also like to make a case for the museum context and its ability to link memory to place. If the first visit to a museum is a gateway, an exciting and overwhelming glimpse of the scope of a museum, the second visit is the one that will really get visitors hooked. The disorientation of the first visit has (hopefully) passed. You know what to expect of the collection, and where to find it (at encyclopedia museums this is less true, but still applies). You know where the bathrooms are. The priority is no longer saying that you SAW THE MUSEUM, but that you deepened your knowledge of — and relationship to — it. The second visit to a museum is, in my view, the richer visit. The tricky thing is, if someone isn’t already a museum person, they’re probably not going to think they need a second visit. Museums need to encourage and incentivize a second visit. Discounted return visits, membership deals, event calendars and programming can help, as can providing support to help people get to the museum. Teach high schoolers how to take public transit to your museum, give school kids tickets to return with their grown-ups, create serial programs that invite people directly to come back. Once visitors return, they probably already have some memories stashed in some of your galleries. That eighth grade field trip on the steps of the Met. A first date in the giant heart at the Franklin Institute. A childhood play at a day camp at a local nature museum. A visit to a museum is a sensory experience — it’s easy to create strong memories in that context. People like to reflect on themselves and their experiences as much as they do on interesting objects. It helps them feel a personal connection and become invested in a place. Help visitors build their own memory palaces in your museum. When they bring friends, they’ll share the stories that they’re reminded of when they see the objects they’ve seen before, and their friends will have a new connection to the museum, too. Museum professionals are often deeply invested in a collection, in the objects it contains, the value they hold, and the stories they tell – and rightly so. Objects make it into museum collections because they’re important, interesting pieces. For someone without deep knowledge of the field, though, the social – and, yes, nostalgic – reasons for visiting can be just as important as the educational ones. Those social visits inevitably include some learning on the side, which also gets stored away in the museum memory palace, to be unlocked again on the next visit. On that eighth grade field trip to the Met, I didn’t just etch those steps into my memory. That trip was also the first time I learned about the 19th century graffiti on the Temple of Dendur. More recently, I experienced the Temple lit on a Friday night, an image that also comes to mind when I enter the space, even during the day. All of these moments, and the conversations I’ve had with others about them, are part of the memory palace I’ve built within the walls of the Metropolitan Museum of Art. The more I visit, the more memories I have, the more invested I am in my experiences there, and the more I am inspired to learn about the collection. And every in-person visit I make to a physical museum helps to enrich my experience of the collection on each subsequent visit. Mark Rothko’s color field paintings take up entire walls, but my renditions of his iconic masterpieces fit on one plate! 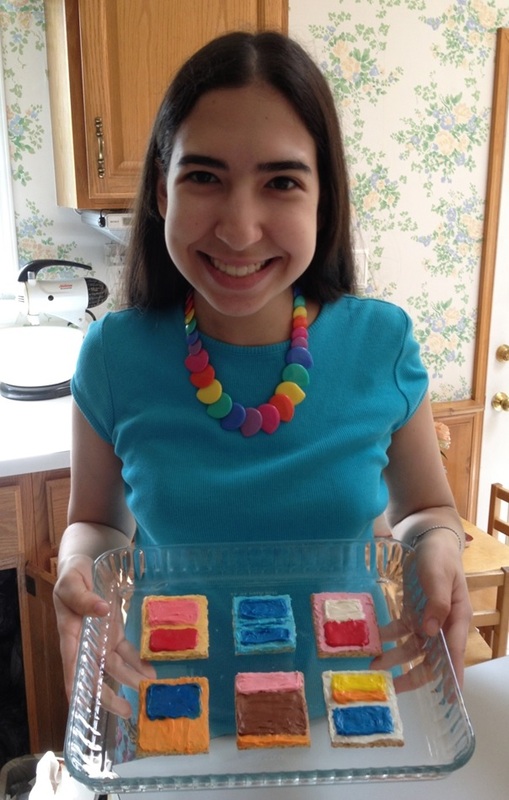 I made Mark Rothko cookies that re-created six eye-catching works. Graham crackers and icing replaced canvas and paint, and art never tasted so sweet! I was ready to start addressing #EduTues next week – then remembered it was National Arts in Education Week. Museum Education Bat Signal, especially with this week’s topic. Queens Museum asked the everlasting question “What’s the value of Arts in Education and how would you convince a non-believer?” While the value is discussed constantly, can we ever really answer this question? And is it worth the soapbox? To all of us reading this article and supporting museums, of course the arts are important. We exist in a world where art and art education is imperative to development, creativity, advancement and existence. The #edutues conversation reflected this – the art and non-art educators (me included) hopped up on their soapboxes, made statements how important the arts are in education and went back to fighting the good fight. But what about the second half of the question? How do we convince the non-believers? The first step – know what we are fighting. We are fighting budget cuts, people who think art education isn’t necessary, people who think art museums should be hands off places of worship. The people we need to convince are not the people already teaching art history, working at museums, showing students of all ages how to create. We need to convince the people outside of our art nerd world. And we need to convince them that art education isn’t just an elective or a ‘fun’ class. Through integration, it can enhance core subjects, increasing the value of education as a whole. STEM to STEAM is the idea of arts integration within the STEM model – and not just tacked on to the side, dead in the center. Some cities are already embracing the trend, but all – even NYC, a city based in the epicenter of art – need work. Art shouldn’t just be another elective and add on class, it should be integrated through every subject. By integrating art into subjects like science and math, subjects whose value hasn’t been questioned, its’ worth becomes exponential, especially in reaching a wider range of students. Museums and universities are teaming up to contribute to the ‘proof’ that the arts are essential to all fields. The careful observation required in art looking is being used to increase observational skills in medical professionals. Spending time with an art work indefinitely flexes critical looking skills that are not necessarily developed in other areas – and it’s amazing to think that doctors are using masterpieces like Rembrandt’s Self Portrait to help them diagnose patients better. It’s also creating an appreciation of art that people didn’t necessarily have before they started med school. And don’t we all want our doctors to pay more attention? I usually shy away from politics, but business guru turned NYC Mayoral Candidate Jack Hidary has got some great views about arts and education. In his conversation with ArtsEdTechNYC last week, he talked about how companies are looking for employees with creative problem-solving skills. His statement of “I urge us to think beyond arts education as secondary,” made me want to jump on his political bandwagon and fix the $2 spent per student (down from $65!) on arts education. While he’s quietly maintaining his under-the-radar philosophy, he’s a force to watch in our fight. A believer in arts education and Bloomberg-esk businessman sense? Watch the whole conversation to make your own choice, but I’m sold. Ignorance isn’t the answer. I was talking to a friend of mine about the Times article on museums that-must-not-be-named. He’s a museum lover and told me not to pay attention to the nay-sayers, just keep on dancing my dance. While there is merit in not letting critics get you down, being aware of the argument and the other side is imperative. If we aren’t listening to the critics, why should they listen to us? So what of the rest of us? Aside from continuing to fight the good fight – we need to continue to raise awareness of the good that comes from art education. Contribute to the proof. We need to tweet, Instagram, blog about amazing teaching moments – we all have them and we talk to one another about them ALL THE TIME, but we need it to go further than our community. Find those brilliant cross connections and don’t let art just be an additional perk – ingrain it. Any other amazing examples of art integration? Share away! Wealth is in all the wrong places in the art world. Let’s give it back to artists, museum workers, art handlers (these all overlap like crazy), and the good guys/gals in general. Mission: Save the art world from greed. Save the museum world from greed. Redistribute wealth to those who have earned it. 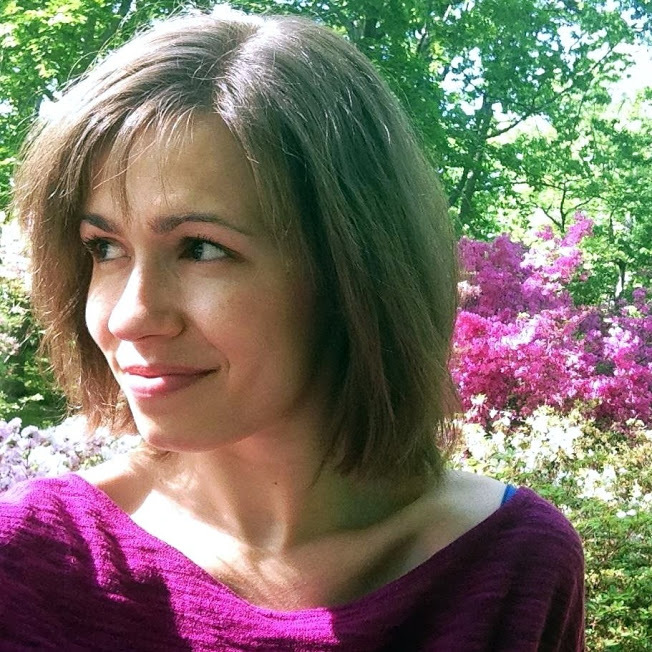 Method: Start with crowd-sourced donations that will go to museums. (I’m doing this now and have raised $700 since Saturday.) This will empower them to be able to say NO to corporate interests, foundations who want to pander to minority children in a belittling way that doesn’t really serve their interests, wealthy donors who want to show their art in museums. (See [unnamed trustee]’s upcoming show at [unnamed major art museum] for an example, unless he’s planning on giving it all to the museum which would make it totally kosher.) This would otherwise be the New Museum fiasco or Sensation or the BMW motorcycle show at Guggs all over again. Artists don’t make anything after selling works. They should. Let’s register art works like guns and track them and their sales. Maybe ARS can help in ensure that artists get some $$$ for resales of their pieces. Why should Charles Saatchii or Dakkis Jannou be able to buy up a bunch of an artists’ work, make them famous, and resell it for a huge profit without the artist seeing a penny. Let’s change that. Now. 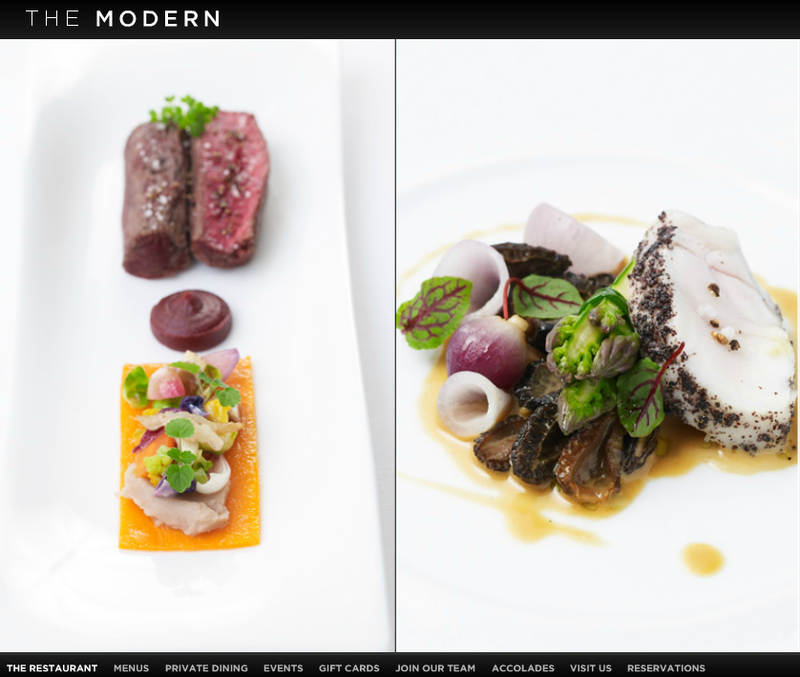 The Modern is one of the top 5 restaurants in NYC. I’ve eaten at Per Se and the Modern was better. Amazing. Amazing Amazing. Tip: There are two food carts across the street from each other at 53rd and 6th. One has a long line and the other has a much shorter line. It’s the one closer to MoMA! Secret: Their myster iously delicious secret “white sauce” is ranch dressing. Pretty sure from my experience in Colorado where they put it on everything. It is super f***ing delicious. H/T to Dave Wharton for turning me on to The Halal Guys.